Calne RFC would like to hear from anyone who has something of interest for this section of the website. Calne R.F.C seems to have been formed in the late 1920’s with the influx of Welshmen to the area in the depression. The Junior Imperial League, forerunners of the Young Conservatives formed the club under the presidency of either Mr Drewett or Mr L. Taylor; certainly their first pitch was in Drewett’s field where now stands Braemor Road. Interestingly their inaugural game against a Bath XV was played on the Recreation Ground to which Calne returned in the late 1970’s as a permanent home. It would appear that a lack of local interest forced the club to fold in the late 1930’s however, in 1960 the club was re-formed as “Old Bentlians”, though it was not exclusively an “old boys” club it did use the pitches at Bentley Grammar School. The next crisis for the club came at the end of the 1971,72 season when the great majority of the players left to from their own club at Wootton Bassett since many of the players lived in that town. From the position of having only 5 players left Calne just survived the next season and it took until 1975 for them to re-assert themselves in the area. I joined the club in 1982 and at that time a great many of the senior players were at the point of hanging up their boots, we were at the time putting out 3 teams every Saturday but following the departure of the senior players dropped quickly to two. Over the next ten years we re-built the playing side of the club and had the added pressure of joining the newly formed Courage League in the mid 80’s. This was a turning point for the club as it started to attract some good quality players to help us move a little up the ladder in the League structure. During this time the club re-introduced the players to the delights of Touring which always seems to help boost team morale (and the local brewery income!). I took over the role of Chairman during the 1994/95 season and held the office for seven years and I would say they were a roller coaster ride for me. During that time we managed to win the Dorset and Wilts Junior Cup with a thrilling 5-0 victory over Trowbridge, we were promoted from Division III to Division II and subsequently to Division I of the League structure in our area (Wiltshire & Dorset) and in my final year as Chairman we played a season in the lofty heights of Southern Counties Rugby. As is often the case with Junior clubs such as Calne, the lofty heights can bring it’s problems, the higher standard of rugby combined with a number of ageing (but still very much talented) players meant that our stay was a short one. 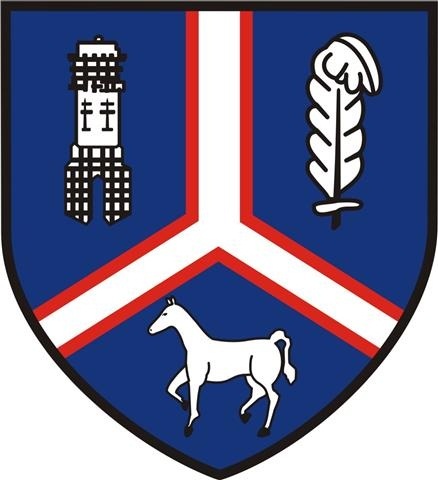 Calne have now moved on and started yet another re-building process, this time directed by a new and eager committee willing to provide their time to the club, and I personally wish them and the club every success. There are of course, a number of personalities that are attached or have been attached to the club during my time and a few of them are mentioned below. Phil has been associated with Calne Rugby Club for as long as anyone can remember (most people are convinced he formed the Club in the 20’s), and is now Bar Manager for the Recreation Club. Phil played rugby to a high standard including the full RAF XV and Combined Services XV. Neil was one of the “imports” who arrived from Scotland in the early 90’s and Calne have been extremely lucky to hold on to his talents throughout this time. Neil has won the trophy for most tries so many times that we now just get it delivered to his house to save him the trouble of carrying it home. Not the worlds most talented of players, and always struggling with injuries but few would argue that he was indeed one of the most talented “tourists”, a tour will never be the same without him. I never saw anyone tackle like Steve, actually when I retired from playing it would hurt me watching him tackle someone. His favorite was to approach from the side at speed and try to break people at around the kidneys, they often didn’t play much of a part in the game after that. Anth joined the club as a colt at 15 years old and stayed with the club until his retirement at 39 rarely missing a game. He was one of the most naturally gifted players we have had, although his reputation always got the better of him, in the later years our referees were warned about him before arriving. Passionate is the word I would like to use! There are of course a huge number of players that I have been involved with over the years, and I have a great deal of memories that I take with me. I wish the club every success in the future, I do keep abreast of the results even though I now live in Taiwan, the world is a small place these days. Our Club badge was designed by, a player of the club, Steve Gill sometime in the 1980’s. Many of the elements were drawn from the Calne towns’ coat of arms. The club attempted to contact Mr. Gill early in 2005, so that he could describe his inspirations the imaginary used to create the club badge we all recognize today. The invitation is still open to Mr. Gill, if he would like to take it up. In the meantime, a few old and wise men at the club have put forward their theories for the artwork we see today. The badge has four main component parts. Working clockwise, and starting in the top left and corner, there is a tower, this is followed by a quill, at the bottom is a horse and these three images are all intersected by three lines that merge in the middle or the badge. Initially, the tower was thought to be a representation of Bowood’s Golden Gate tower in Derry Hill. And it was thought that it represented the close links and history Calne has with Bowood House. This “Golden Gate” is the main entrance to Bowood Golf and Country Club. It was built by Sir Charles Barry, of the houses of parliament fame, sometime around 1820. But this theory was completely ruled out when a tower was noticed on Calne Town’s Coat of Arms. Further research , whilst identifying the origin of the quill, identified that the tower may even predate the quill, which is dated at the last part of the 1300’s. At this time we are unable to identify the original nature of the tower and why it was used in the towns coat of arms. Quills are synonymous with literary brilliance. And one gentleman that springs to mind is Dr. Joseph Priestley. In Calne terms Dr. Priestley is most famous, amongst many other discoveries, for discovering Oxygen in the town in 1774. Joseph Priestley was one of the most influential and colourful scientists of the eighteenth century. He lived and worked, for some time, at Bowood House in Calne, Wiltshire. Where he was the librarian and scientific guru for Lord Shelburne, the Marquis of Lansdowne. However, the good Dr Priestley must be ruled out, as the source of the inspiration for the Quill. As it was soon discovered that the Quill, which is in fact a silver Ostrich feather, also features on the town’s coat of arms, which is recognised as being created in the late 1300’s. The Quill in question has been linked to the Black Prince by local historians, but it remains unclear what, if any, direct links the Prince had with our town. In the whole range of English history there is no name so completely wrapped up in the idea of English chivalry as that of Edward the Black Prince. Born on the 15th of June 1330, the son of Edward III and Philippa of Hainault, he was only in his sixteenth year when he accompanied his father in the expedition into France which was crowned by the battle of Crecy. The horse is by far the most easily identifiable image of the our club’s badge for locals. The Cherhill white horse is the second oldest of the Wiltshire horses. It is situated on the edge of Cherhill Down, off the A4, Calne to Marlborough road, just east of the village of Cherhill, and is just below the earthwork known as Oldbury Castle. Nearby is the obelisk known as the Lansdowne Monument. The carving may well have been inspired by the Westbury horse, as it was cut in 1780, just two years after that first Wiltshire horse was recut to a new design. The Cherhill white horse is the work of a Dr Christopher Alsop of Calne, sometimes referred to as “the mad doctor”. He is said to have directed the marking out of the horse from a distance, calling instructions through a megaphone. Dr Alsop’s design for the horse may have been influenced by the work of his artist friend George Stubbs, famous for his paintings of horses and other animals. The name Calne is said to be of Celtic origin – “Col-aun” meaning a meeting of waters. This we believe is represented by the three lines, which denote the different sectors, of our badge. These are thought to represent the three waterways in Calne. The River Marden, Aberd Brook and the Wilts and Berks Canal. The River Marden and Abberd Brook meet in the centre of the town, whilst the later manmade addition of the Canal skirts with in a few meters of the Marden, at the Castlefields site. Nothing appears to be known of any Celtic settlement on the site. However, the historical significance of the town is confirmed in early records of a meeting of the ‘Witan’, the chiefs of the nation, in 978, which is recorded in the Anglo-Saxon Chronicle. The Domesday Book entry for Calne uses the name ‘Cauna’ to describe the town. So, although the origins of the name of Calne remain shrouded in mystery, it is verified that Calne is the site of a very old settlement. The black background, and the silver Ostrich feathers are similar to the Arms of the Black Prince c 1376, with a tower added, and may be older. The arms are recorded by William Harvey Clarenceux King of Arms, in the visitation of Wiltshire in 1565. These Arms belonged to the Guild of Stewards of the Town and Borough of Calne, and Burgesses of the Same, and the Honor of Wallingford, and Ewelme. A new seal was in use in 1836, with the words “Major and Council of the Borough of Calne Wilts”. In 1950 the crest was added – the mural crown for the castle, and the mitre and staves for Edmund Richwho was vicar of Calne 1233-4, later Archbishop of Canterbury. The supporters were also added – two red Boars representing the Bacon industry, the garland of Teazles the Woollen industry. The little known motto of Calne, and very apt in Calne Rugby terms too.Thank you for taking the time to read our website contribution. Matt Snell, Mark Edwards & John Crozier. Some Pictures From The Pastell, Mark Edwards & John Crozier.